Cats, dogs, recipes and murder too! Caprice’s house staging is disrupted by Drew Pierson, a caterer who opened Portable Edibles, a business in direct competition with her sister Nikki’s Catered Capers. Nikki turned down Drew as a possible partner and he seems determined to undermine and bury her. However his successful launch of a deal for his blackberry barbecue sauce must have stirred up his enemies. 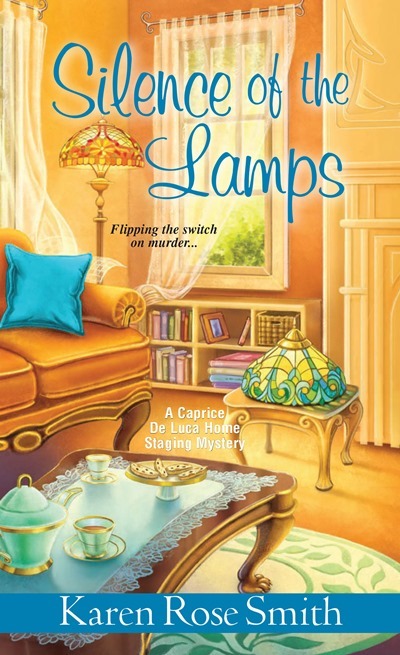 When Nikki visits the house where Drew lives with his grandmother to resolve differences, she and Caprice find him dead–murdered with the base of a valuable Tiffany lamp. Caprice discovers clues about Drew’s sly business dealings–from stealing recipes from another chef, to friends who hold grudges, to a sister who will now inherit half of her grandmother’s estate since Drew is dead. In the midst of her own romantic relationship upheaval, helping her uncle set up his pet sitting-business, assisting a friend care for a pregnant stray cat, Caprice follows the suspect trail, inadvertently putting herself in danger once more. From USA Today Bestselling Author Karen Rose Smith, enjoy the 8th book in the Search For Love paranormal contemporary romance series! 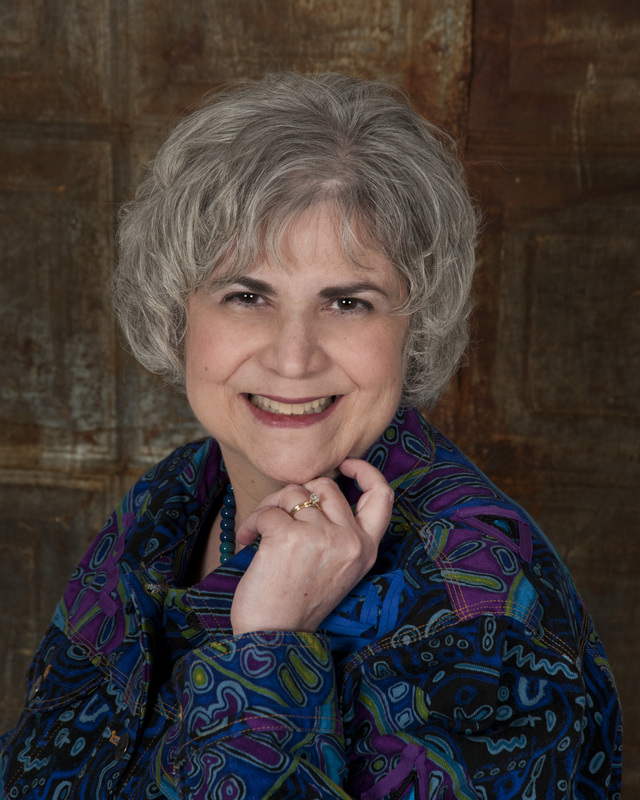 Beth Crandall has known trauma. Kidnapped from her birth family when she was three, abandoned at a mall by her kidnapper a few months later, traumatic amnesia has prevented memories from plaguing her as she was adopted and ushered into a “normal” life. But a twist of fate reunited her with her birth family recently and now she’s attempting to move forward in a way she couldn’t before. As a teenager, Beth’s face was scarred in an attack at a group home where her best friend lived. Now Beth is seeing a plastic surgeon, Dr. Sam Benedict, so he can remove the scar. Sam volunteers his time to the foundation Kids Cause which sends doctors all over the world to help children. Sam, who came from an abusive home, feels children need to be listened to and fixed. He and Beth connect on a deep level from the first moment they meet. Beth has believed a romantic relationship is impossible for her given her background. But during integration into her birth family and throughout a search for her teenage best friend, Sam remains by her side. He helps to heal more than the scar on her face. Neither of them realize that Beth’s search for her friend with the help of psychic Gillian Bradley will land them in a fight for their lives. Caprice De Luca’s former client and now friend Ace Richland–an 80’s rock star–asks her for a favor. Can she quickly stage his girlfriend’s house to sell? Widow Alanna Goodwin, a transplanted Southern beauty, will be moving in with him! Immediately Caprice realizes Alanna’s southern charm can be turned on and off at will. Caprice agrees to stage Alanna’s Kismet antebellum-styled mansion for Ace’s sake. 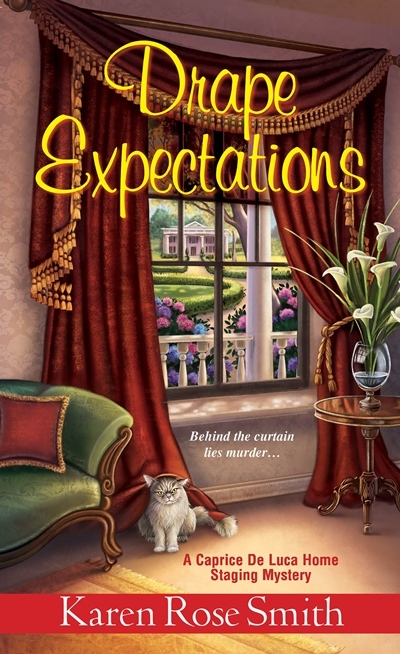 But she soon learns Alanna doesn’t have a genuine love for her cat Mirabelle and also uncovers a plot her new client is hatching to sabotage Ace’s comeback. However, before she can tell Ace, Alanna is murdered and Ace is the prime suspect. As Caprice investigates, she learns Alanna had more secrets than pie safes. With her Cocker Spaniel Lady by her side, she tracks down clues and adopts Alanna’s cat. In the midst of some of her own family upheaval–her uncle has moved in with her parents–she finds herself with a dilemma. Grant Weatherford, her brother’s law partner, advises Ace and reveals more of his past to her. Seth Randolph, the doctor she dates, wants her to meet his family. She must choose between them. 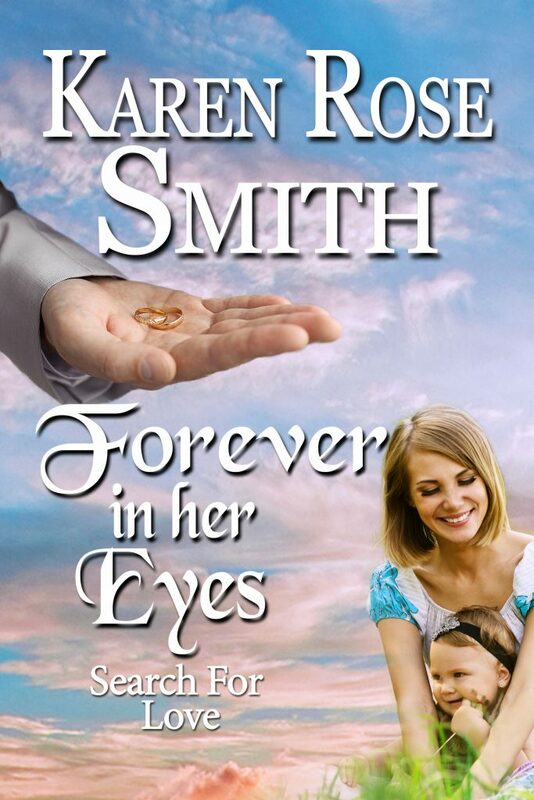 She was only seventeen when Chase Parker swept Lady Lucie Fortune Chesterfield off her royal feet. His oil magnate father cut their love affair short and forced them to annul their union…or so he thought. 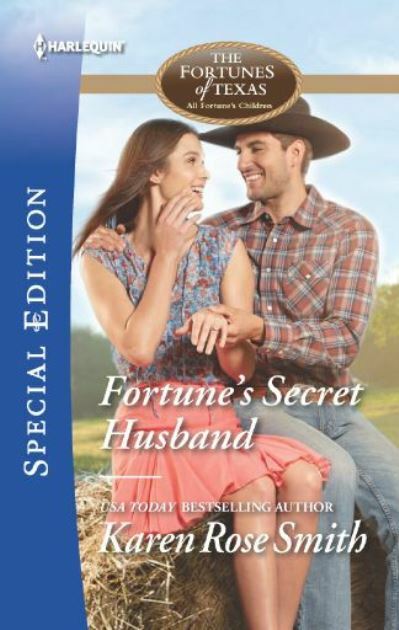 Ten years later, the wealthy Texas rancher uncovers a secret—he’s still wed to the one woman he’s never been able to forget! Lucie was always “the quiet one.” While her mom and sister have been tailed mercilessly by the tabloids, she’s maintained a low profile and a gracious image. No one has ever uncovered her deep, dark secret—an impulsive teenage marriage. When Chase tracks her down, she still finds him hard to resist. 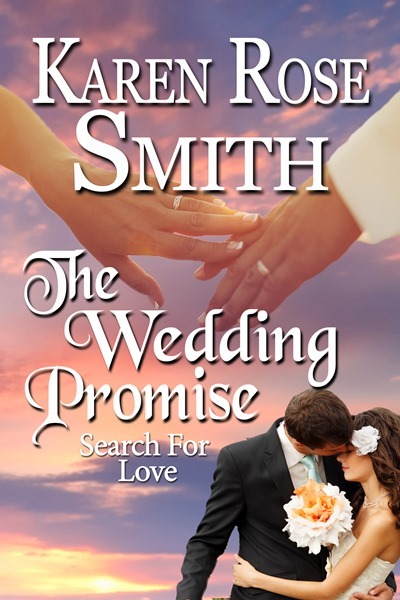 And as they prepare to untie the wedding knot, Lucie wonders: What if their biggest mistake was saying goodbye?